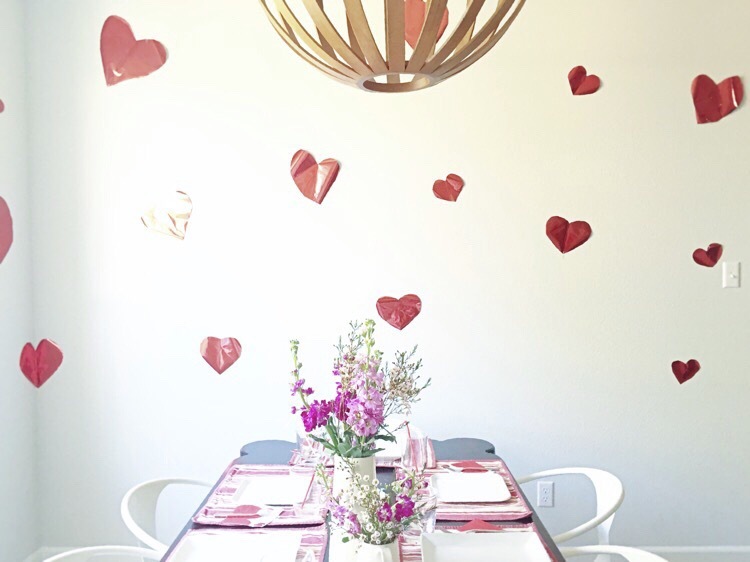 Growing up, Valentine’s Day was always celebrated in our home with a fun, decorated family dinner (usually a breakfast for dinner). My mom would keep the siding doors leading to the dining room closed until it was time to eat, then surprise us with the special room and a book for each of us kids on our plate. Dave and I love keeping that tradition alive. Every year is a bit different, but some sort of fancy or fun dinner with a boon for each of us. 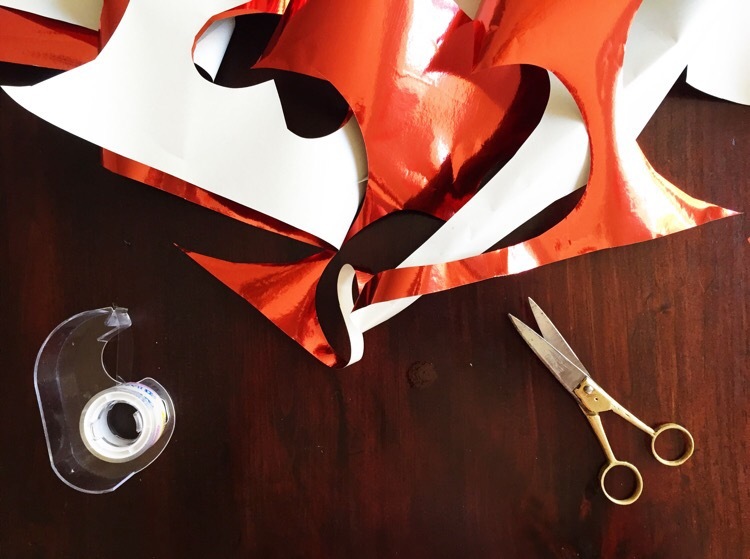 This year, right after Christmas I noticed some shiny red wrapping paper on clearance and thought it would be perfect for Valentines Day. 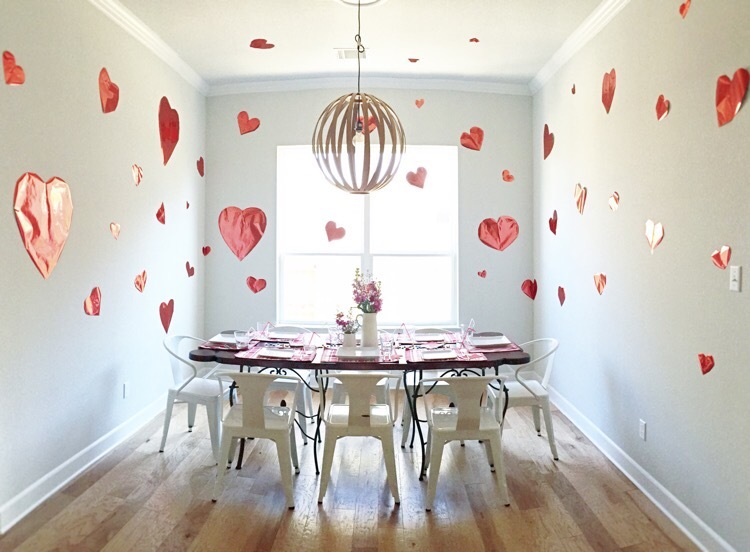 So, with one roll cut into hearts our dining room is ready for the holiday of love! 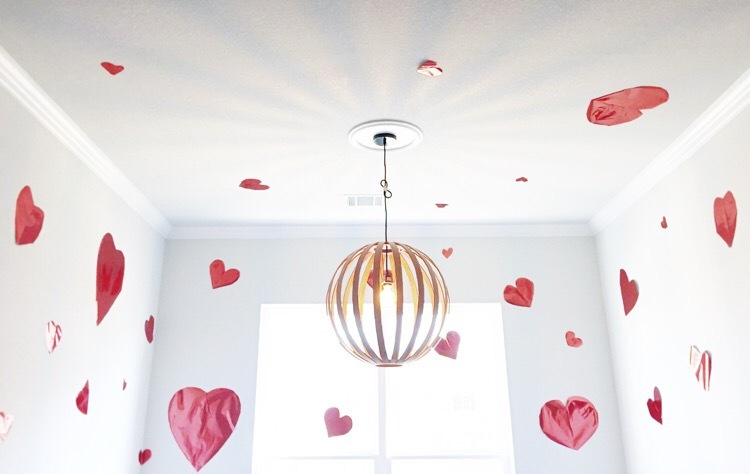 It was super cheap and easy, but has big impact with hearts all over the walls and ceiling. 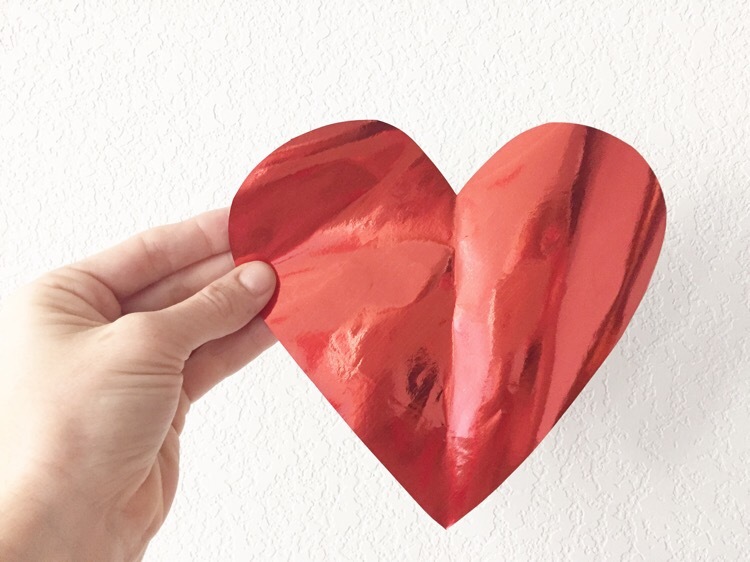 I love a little romance, of course, but Valentines Day has always felt like a family holiday to me, and I hope my kids feel that, too!